Our Almighty One True Eternal God has blessed us in so many ways, in return, He has asked of us to exercise justice in whatever circumstances, be compassionate, be kind, honest in our dealings and also to be humble in all our ways in walking with Him. There is no other God besides ME, I AM the One True Eternal & Almighty God Jehovah/Yahweh, a Righteous God and Savior. God hates those that practices wickedness and those that are evil at heart, He will certainly annihilate them and they’ll be remembered no more. God detest wickedness but loves righteousness! Jehovah God in Christ Jesus has appointed anointed ones to proclaim the good news of His name and His Glory to the whole world. A crown is reserved! A crown of Righteousness, waiting in the heavens, for those who loves our Almighty Eternal One True God Jehovah/Yahweh and His Only Begotten Son, Jesus/Yahshua, our Messiah. In the fear of our Lord God Jehovah/Yahweh, one will indeed slide away from doing wickedness and crookedness because by that awe of fear in Him, we are bestowed with wisdom and understanding so that we can distinguish right from wrong. 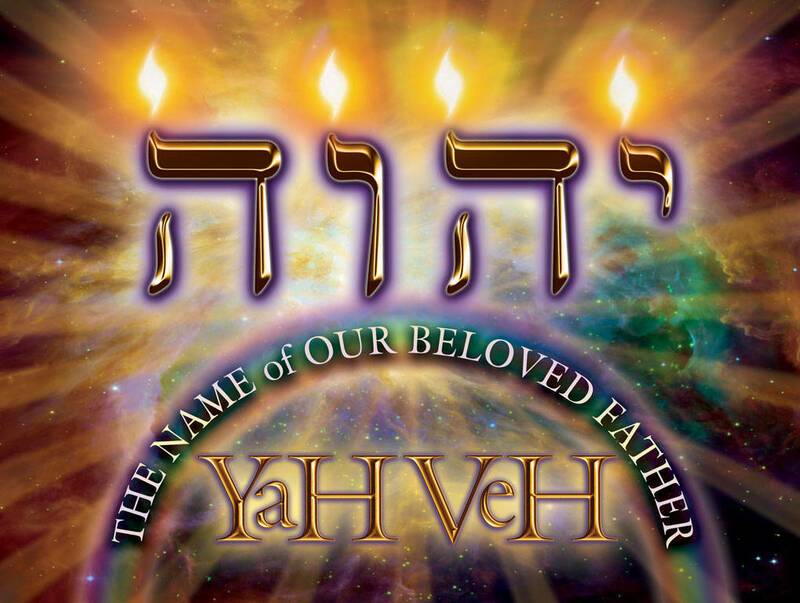 Paul welcomes the non-Israelites, the Gentiles, to the knowledge of the One True God Jehovah/Yahweh, telling them to be glad of that and always be in praising the name of our Almighty Eternal True God Jehovah and openly acknowledging and proclaiming His Holy name. In return, God will bless them bountifully. Paul also bore the good news about Jesus/Yahshua, our Messiah, the root of Jesse, the one who will rule the nations and where all the hope of the world rests. Exercise showing mercy just as Jehovah/Yahweh God has shown us mercy by giving us His Son, Our Messiah, Jesus/Yahshua to atone for all our sins. Jehovah/Yahweh God will always deliver those in troubled times; those that are kind in heart, merciful, compassionate, righteous and at all times in the awe and love for Him. The Spirit of God is upon the anointed righteous ones of the earth. The Kingdom of heaven belongs to those who are conscious of the spiritual need which is “Food for the Soul”. Be the light that shines onto men and be the salt that does not lose its strength and flavor of righteousness to the world. Enoch, the man who pleased God, walked righteously with our Almighty God Jehovah/Yahweh. Jehovah/Yahweh God found favor in Noah because he walked righteously with the True God, Noah proved himself faultless in many ways and some of his traits were being merciful, kind, compassionate, honest in all dealings and also humble in spirit. Jehovah/Yahweh declares He will protect and bless those when there is no perverseness upon their lips and their hearts no deceitfulness and wickedness abounding. Jesus/Yahshua declares that those who endures and conquers evilness and wickedness and have no defilement of their hearts, soul and spirit by walking in purity will be counted worthy in the eyes of Almighty Eternal One True God and Father Jehovah/Yahweh. This gives us the entitlement to be arrayed in white outer garments and our names in the Book of Life. “Wise Up!” … Worship is the first step to wisdom. *The fear of Jehovah/Yahweh is the beginning of knowledge. “Walk Straight!” … The straight and narrow has the lowest accident rate. “Watch Your Step!” … Every step molds your character; Step Well. by Lord God Almighty Jehovah/Yahweh from heavens above. … pride, lies, murder, deceit, mischief, betrayal, discord. *That is why I have come out to meet you, to look for your face, that I may find you. With coverlets I have bedecked my divan, with many-colored things, linen of Egypt. I have besprinkled my bed with myrrh, aloes and cinnamon. do let us enjoy each other with love expressions. For the husband is not in his house; he has gone traveling on a way of some distance. A bag of money he has taken in his hand. She has misled him by the abundance of her persuasiveness. By the smoothness of her lips she seduces him. and he has not known that it involves his very soul. And now, O sons, listen to me and pay attention to the sayings of my mouth. May your heart not turn aside to her ways. Do not wander into her roadways. and all those being killed by her are numerous. “Riches” … Rubies of wisdom commands the highest price on the market of character values. “More Fun” … Nothing you ought NOT to do is ever more fun. Wait till you see what results. “Wanted! Silence” … wordy men seldom are wise men. in the mightiness of his strength. spirit forces in the heavenly places. after YOU have done all things thoroughly, to stand firm. carry on prayer on every occasion in spirit. REGARDING WHY GOD HAD PERMITTED THE FALL OF JERUSALEM. REJECTION OF THE ONE TRUE GOD, JEHOVAH. THE GLORIOUS RESTORATION OF ISRAEL. ALSO THEIR ADVANCEMENT INTO THE REALMS OF ROYAL FAVOR. EMPIRES OF THE WORLD : BABYLON, PERSIA, GREECE AND ROME. 700 YEARS INTO THE FUTURE. OBADIAH – HIS NAME LITERALLY MEANS “SERVANT OF JEHOVAH”. NINEVEH FROM DESTRUCTION IN FORTY DAYS. HIS OWN FAITH IN THE ONE TRUE GOD JEHOVAH. JOSIAH AND WHOSE NAME MEANS ‘DEFENDED BY JEHOVAH”. FINALLY BUILT IN FOUR YEARS AND DEDICATED TO GOD. TESTAMENT AND HIS NAME BEARS “MY MESSENGER”.